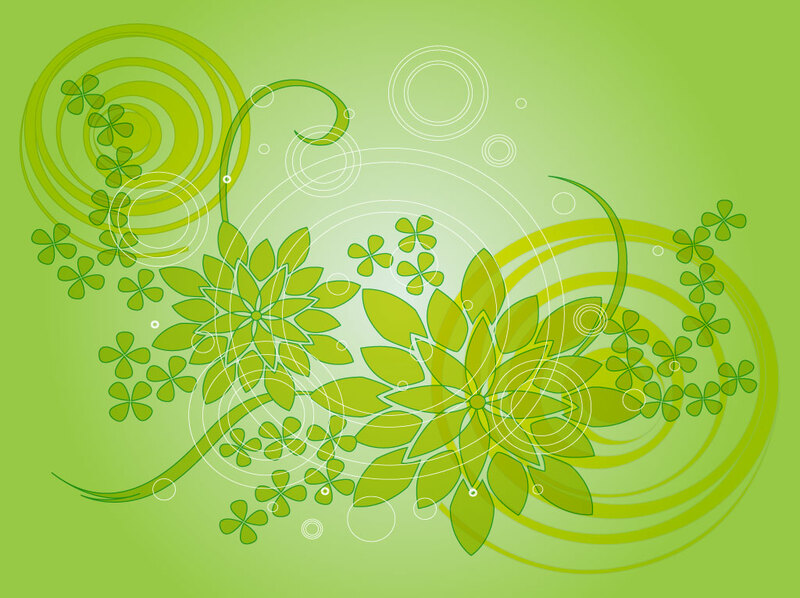 Green gradient vector background image with spiraling swirls, white rings and flower designs. Ornamental graphics in modern digital style with nature for inspiration. Free download for your garden themes, floral designs and decorative banners and greeting cards. Tags: Botanic, Elegant, Flowers, Garden, Invitation, Leaves, Plants, Seasons, Spring.